Sister of former president Asif Ali Zardari, Faryal Talpur, appeared before the FIA in connection to an ongoing money laundering case on Wednesday. 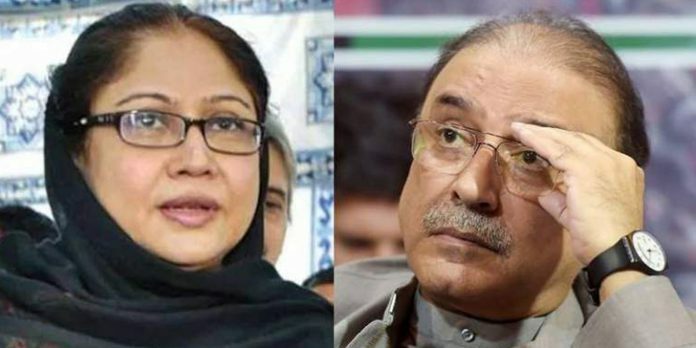 Faryal Talpur and Asif Ali Zardari had been summoned by FIA to record their statement in a money laundering case through fake bank accounts. The former president is also expected to appear before the investigation agency. Asif Ali Zardari and his sister Faryal Talpur have been granted interim bail in the money laundering case. Both leaders have appeared before the FIA four times before this. The Federal Investigation Agency is investigating 32 people in relation to money laundering case from fictitious accounts, including Asif Ali Zardari and Faryal Talpur. Asif Zardari’s close aide Hussain Lawai was arrested in July in connection with the money laundering case investigation. 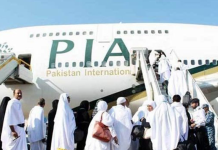 Former President Asif Zardari’s other close aide and Omni Group chairman Anwar Majeed and his son, Abdul Ghani, were arrested by FIA in August.